Knaebe’s Twisted Roots Tasting Room. Stoney Acres Winery is just a few minutes outside of the city limits, nestled in a forest of tall pines. Stoney Acres offers a wide variety of fruit flavored wines, and they are also famous for their Shipwreck Soda soft drink. You can find almost anything inside the winery store and tasting room. They make homemade caramel corn, hand dipped gourmet wine truffles, chocolate bark, and plenty of other sweet treats. You can also buy wine and beer making supplies if you would like to try to master the process yourself. As if this wasn’t enough, Stoney Acres has a beautiful outdoor patio and flower garden with a waterfall fountain where they serve gourmet appetizers during the summer. This is definitely one of our “go-to” spots when we’re ready for some relaxing with friends! We are pleased to inform you that a very hip new joint just opened up in town. 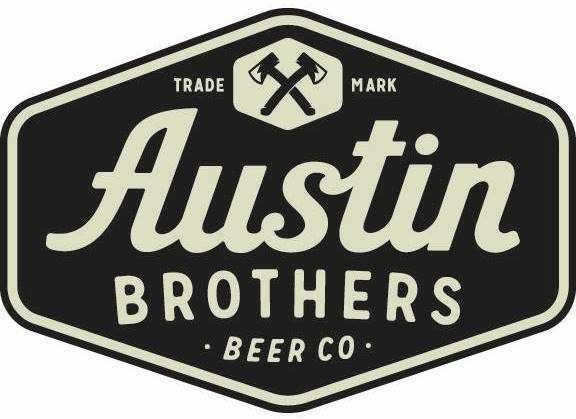 The Austin Brothers Beer Company is in action! Located on the outskirts of Alpena’s Old Town, this brewery creates specialty craft beers in their state-of-the-art production room. The California raised Austin brothers are already distributing their beer all over the state, but trust us- you must indulge in the full brewery experience. Not only is the beer “out of this world”, but an in-house chef creates delectable pub entrees. This farm-to-table menu includes artisan pizzas, seared pork belly, Mahi tacos, our beloved Polish pierogis, and more. 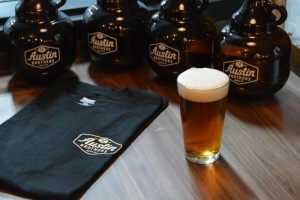 You will definitely have an amazing experience at the Austin Brothers Beer Company. It’s a no fail. Thunder Bay Winery Tasting Room. Thunder Bay Winery’s wine tasting room is located in the historic Center Building of bustling downtown Alpena. With its huge front windows that overlook Second Avenue, it’s an easy place to spend the afternoon people watching. It’s also the perfect place to bring a few friends and have a date night, or you can even arrange to bring a group and enjoy sampling wine in a private room. The friendly, professional and knowledgeable staff really makes the experience authentic as you learn the history of the wine- from the fruit being picked in the nearby local vineyard, to how the flavors are created and melded, right down to the genuine aging in oak barrels. 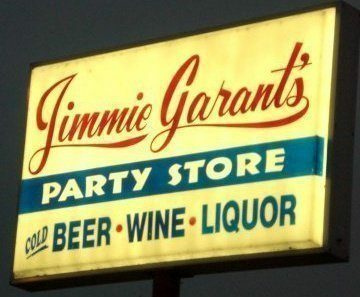 It’s the perfect place to enjoy a night on the town. Knaebe’s Mmmunchy Krunchy Apple Farm is a bustling apple farm and cidermill nestled in the hills just west of Rogers City, in beautiful Northeastern Lower Michigan north of Alpena. In addition to their 50+ varieties of apples, fresh pressed unpasteurized cider and delicious baked goods, guests can also enjoy their hard cider. 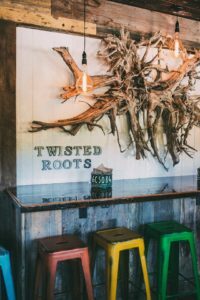 Twisted Roots Tasting Room is located out the back door of their barn where they serve up hand crafted Hard Cider to enjoy while you’re visiting the farm. You can also take a growler home for later. The Tasting Room serves Wood Fired Pizza (Local Hot Dogs and Brats with all the fixings and some snackier items are available on the weekends in the fall in the newly renovated “Snack Shack”). Spend a day or more traveling through Michigan’s friendly Sunrise Coast – get the complete tour map of the Sunrise Side Wine & Hops Trail and discover the thrill that is Pure Michigan! 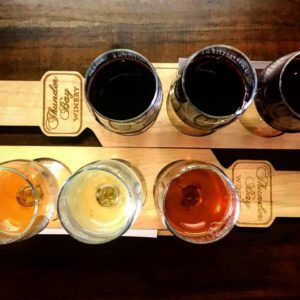 See our Gotta Check it Out Adventure: Wine, Hops, Pick Your Stops!